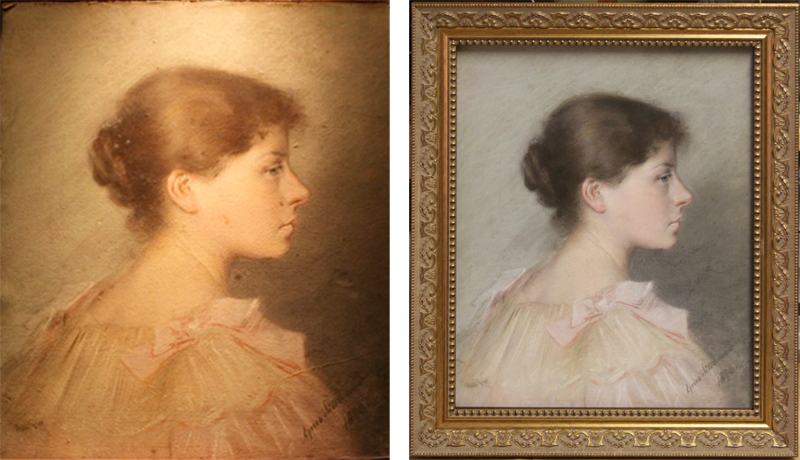 Art Gallery 101 has extensive experience with document and paper restoration in the Washington DC Metro area. Our office is located off of Main Street in Fairfax, Virginia. 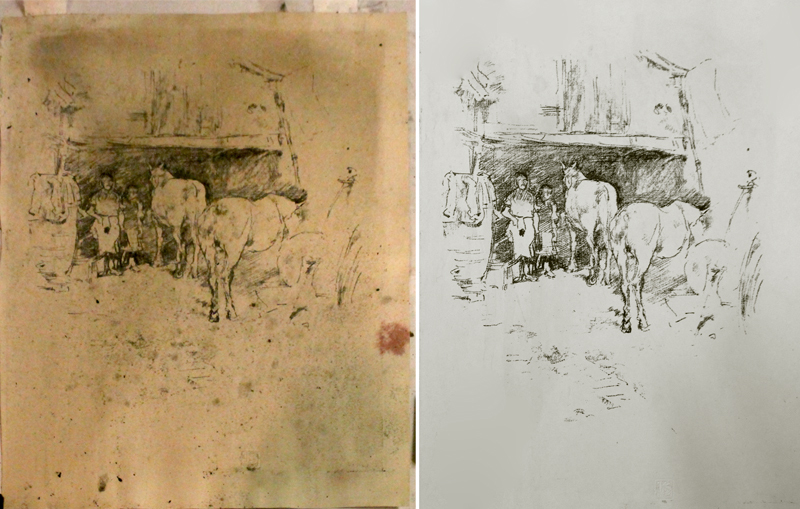 Our projects include restoring water colors, lithography, ink, pastel and mixed media. We can restore damaged paper due to fire, smoke, soot, water, mold, pests and tears. 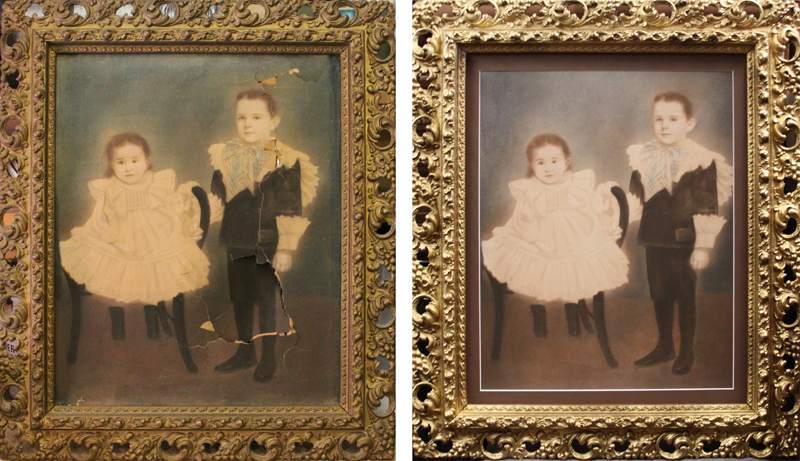 We use state of the art equipment to remove odors, stabilize, patch, flatten, mount and frame fragile artwork. 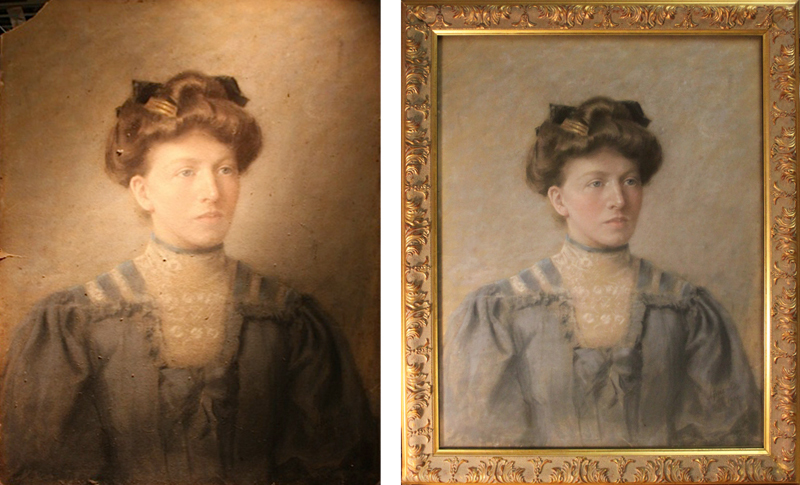 In many cases, artwork may require multiple procedures in order to stabilize and restore it to it's former beauty. It is necessary to clean artwork as soon as possible after a disaster in order to ensure its integrity. Due to the variety of materials used and varying degrees of damage, testing may be required to determine whether a work of art is restorable.